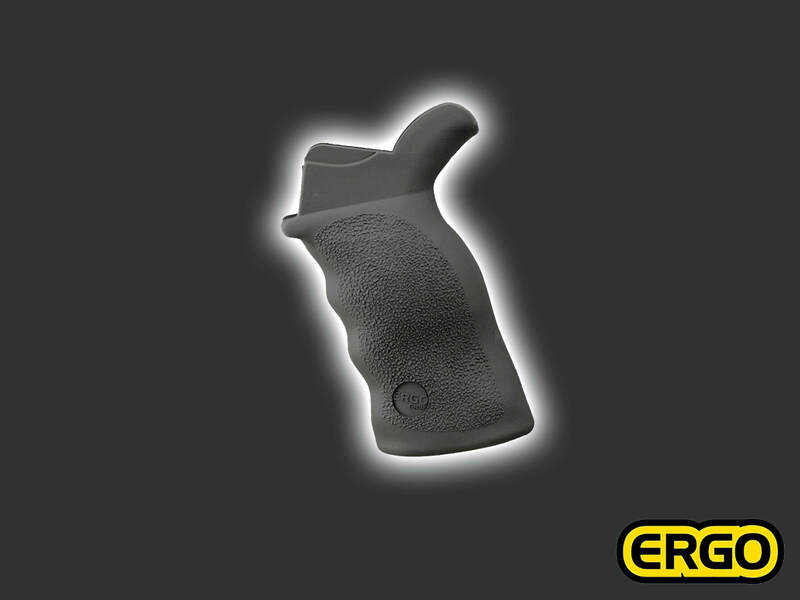 The Tactical Deluxe is a larger more rounded grip than the original Ergo Grip providing exceptional comfort and control for those with medium to large hands. This grip features hand filling palm swells for both left and right handed shooters. Suitable for any Modern Sporting Rifle with AR type platform. Over molded SUREGRIP material with heavy texture. Fits medium to large hands best.